Musings of a Pertinacious Papist: Year of Mercy image: If the medium is the message, what's the message here? Year of Mercy image: If the medium is the message, what's the message here? As someone who claims advertising as their [sic] profession, this strikes me more forcefully, perhaps, than others. 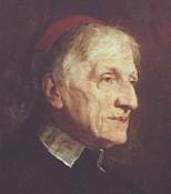 Nonetheless I think it extremely telling, and would place it in the same file as material on father James Martin. Whatever is and has been going on in the Church since Vatican II, it is pretty apparent to anyone with a passing interest in theology that the message if not the doctrine is being fundamentally changed. 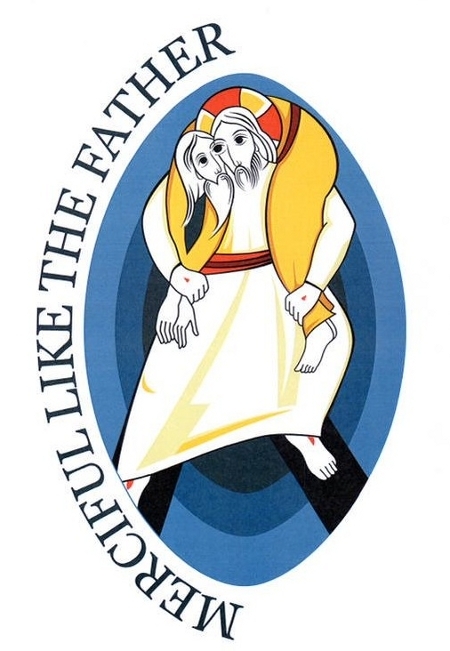 In case you have not yet seen it, the above image is the official logo for the upcoming Year of Mercy. The art is the work of Slovenian Jesuit artist Fr. Marko Rupnik (click on the image for a bigger view if it is too small to see). Notice that between Christ and the other figure, there are only three eyes, signifying apparently that "Christ sees through the eye of Adam and Adam sees through the eye of Christ." The motto of the Year of Mercy is "Merciful Like the Father", despite the fact that Pope Francis says the purpose of the year is to the demonstrate "the church's maternal solicitude." I offer no new commentary here, but refer you to our article "Children's Crusade and the Age of Mercy" from March 21st, 2015. All quotes and information from this Catholic Register article. Dar Doc. "God' justice and judgment?" That's so heavy, man. However, Jesus ain't heavy, He's my brother. Why, just yesterday, Deacon Bob preached us a salvation-buddy sermon about how U.S. Grant was a drunkard who had a buddy, John Rawlings who was called to sober-up U.S. whenever he got too deep into the wine and Deacon Bob told us that Rawlings was The Holy Ghost for Grant; so there. No, we did not sing, "Mine eyes have seen the Glory," but Deacon Bob said the preservation of the Union could not have been accomplished without the Trinity. Doc, see what intellectual liberation is available to you in the Lil' Liclt Liturgy yet you continue to submit to brainwashing in The Assumption Grotto. Thanks for the good laugh.